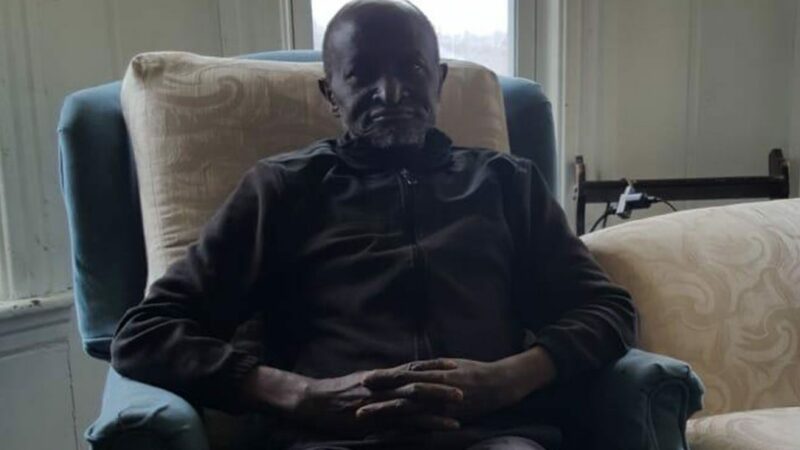 An elderly Kenyan man in the United States is appealing for help to return home after losing his sight. In a video posted on Diaspora Messenger (a website that carries information on East Africans living abroad) 70-year-old, William Mwangi Kagwima narrates the ordeals he has gone through after he fell on snow and lost his sight. “One of our Kenyan brother, migrated to Worcester MA, in 1998. Like every other immigrant, he worked hard until last year when he started losing his eyesight and could not work anymore. He has endured severe hardship and has exhausted his savings. Mwangi is requesting the community to send him back home to his family,” a notice on the website read in part. Kenyans in the US have formed a WhatsApp group in a bid to assist Mwangi and a fundraiser has been organized to try and facilitate his repatriation. Mwangi goes ahead to explain the circumstances that led to his ordeal, stating that in 2018, he fell on snow and the medications he received affected his sight and despite visiting hospitals and specialists, nothing much could be done anymore. He also states that he has exhausted his savings in hospital trips and just needs a little money for a plane ticket back home. The fundraiser is slated for April 8, 2019, in the US, to help Mwangi travel back home.